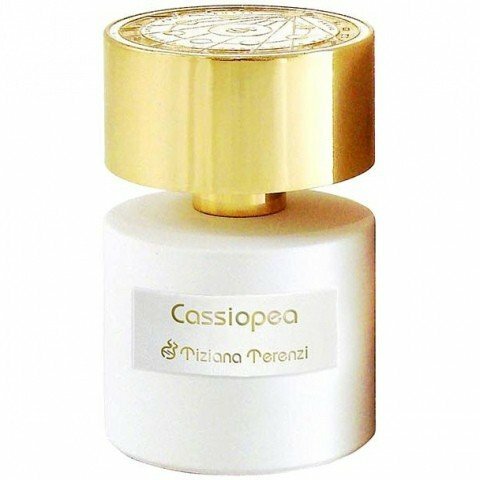 Cassiopea is a popular perfume by Tiziana Terenzi for women and men and was released in 2015. The scent is fruity-floral. It is being marketed by Cereria Terenzi Evelino. A fragrance that suits all seasons. Fruity, flowery in its very own composition. I smelled that scent, and I was right in the middle of it. I am so often asked which perfume I wear and in 90% of the cases it is this one. For young women who love life! Ordered last month, I have a sample of this fragrance. My first test of a fragrance of this expensive brand. A brand that has a lot of fans here. Also someone with whom I like to write and with whom we often have a similar taste. Even though some of these brands seem interesting to me, I chose this one. I like fruity-floral scents extremely and that it is listed as unisex made me curious. Since I also like to test for ladies, it wouldn't have been a disappointment if he was only feminine. And so it is. Only the base or the dry-down has a slight unisex touch, until then it's a sensual women's scent for me. The bottles and packaging look luxurious according to the price. Especially the Luna Collection with beautiful golden lid and noble label. As already mentioned, the fragrance is mainly fruity and flowery. I love these two qualities in ladies fragrance. Not necessarily all of them, but in any case perfectly implemented here. Especially this breathtaking top note. For fruit lovers, this is simply an absolute must to test. These fruity notes are absolutely not 0815. This mix of passion fruit and currant at the start is simply heavenly and very appealing. Reminds me easily of chewy candies a la Maoam. Not Maoam, but the more exotic ones I used to love to eat. Yes, very tasty! Even if the flowery notes begin, it remains at this high level. Very feminine and seductive. This great fruity note paired with the flowery notes is a mix that magically attracts me and makes me dream. It'll take a few hours for the base to deploy. It's gentle and standard. Musk tonka sandal, not special, but quite pleasant. Some of the head and heart remains longer and the DNA remains. The performance is also really good. I didn't check them exactly, but should last about 10 hours with good Sillage. Especially to the beginning. Suitable especially thanks to the sensuality to flirt, dates, nightlife and also easy for the beautiful and special moments in life. Despite the fruity notes, it also stands up to more mature women due to its noble finish. But you have to love fruity notes to wear this fragrance. Cassiopeia was the wife of King Kepheus and the mother of Andromeda. In addition, she was a haughty and self-loving woman, which she let every one know and didn't miss any opportunity to express it. Unfortunately, this self-love eventually went backwards. She claimed to be the fairest of them all, even more beautiful than the Nereids, the Greek nymphs of the sea. Their father Nereus didn't like the sacrilege, so he complained to Poseidon about Cassiopeia. As the patron of the Nereids, he flooded the kingdom and sent out the sea monster Keto. The oracle said that only through the offering of her daughter Andromeda, the catastrophe can be averted. But more about that elsewhere. Even though it was ultimately her fault, Cassiopeia was later taken to the skies and continues to be very conspicuous there. However, as a punishment for her actions, allegedly standing on her head. And that's also my impression of the fragrance named after her. It is truly very intense and insistent in some places. In the beginning it is fruity and fresh, as if lit by the bright morning sun. Here, you can't guess it yet. 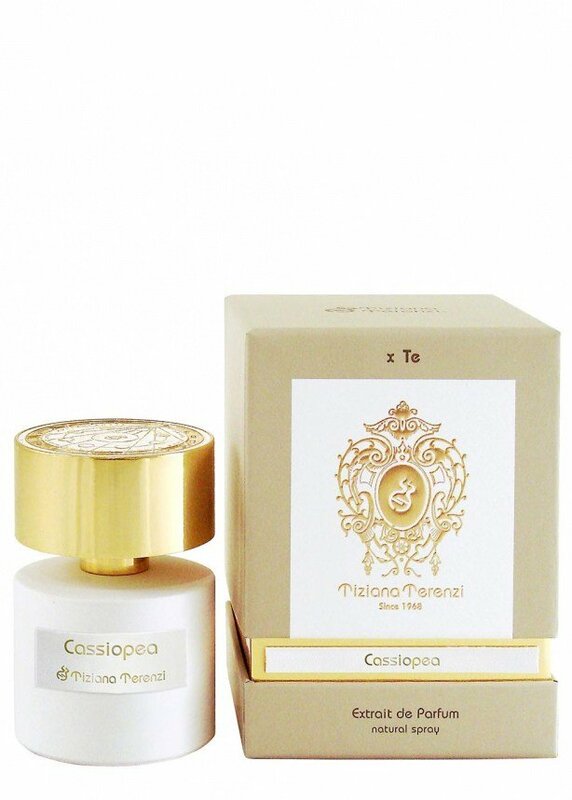 The floral part of the fragrance doesn't seem too self-loving, even holds back a bit, but certainly supports the impression that Cassiopeia wasn't a simple woman and is difficult to handle. The sweet and creamy base is what characterizes her arrogance. Here, her true character which destroys a whole kingdom, is hinted at. Although the scent as a whole is relatively pleasing to my perception, something in the composition doesn't really suit me. The blackcurrant annoys me a lot, makes it moody and unbalanced. And then there's a scent of musk that I don't really like, it's slightly pungent. I miss the harmony in the fragrance. Judging by the fate of the namesake goddess and those involved, this scent probably needs to be a bit more agitated than normal. A bit of insight and self-reflection from Cassiopeia is emerging after the catastrophe, when this pungent impression withdraws. But just a little insight, otherwise she wouldn't shine so bright today. Write the first Review for Cassiopea!